Provides high quality professional day care and after schools services to children, thereby supporting their development and improving parents' access to education, training, employment and support services. Kinderkids Daycare was established in 2000 as a social enterprise of Ashton Community Trust (ACT). 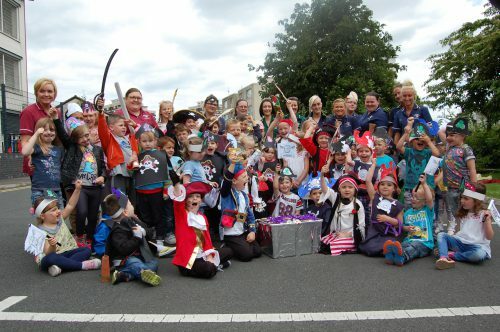 Over the years Kinderkids has expanded in response to local need and now operates three childcare centres in North Belfast from Carlisle Circus to the Cliftonville Road. The aim of Kinderkids Daycare is: ‘To provide high quality childcare services to children, thereby supporting their development and improving parent’s access to education, training, employment & family support services.’ Currently Kinderkids accommodates over 200 childcare places per week across all three childcare centres and employ over 70 staff on a full and part time basis. Kinderkids is an extremely important aspect of ACT’s day to day business and represents an important social and economic driver for those employed in the business, but also those working parents who place their children in our care. Provision: Kinderkids offers childcare to a range of parents and carers, from those working who can access childcare vouchers and working tax credits, to parents to are undertaking a period of study at university or college. Kinderkids also provides childcare placements to children whose parents are engaged in employment programmes to assist with their return to work. Furthermore, Kinderkids also works closely with Surestart in providing childcare placements for parents who are engaged within Surestart programmes or who require childcare support. We provide Sponsored Daycare Placements for families who are engaged with Social Work Teams within the Belfast Trust. Play and learning: Kinderkids understands that play is of paramount importance to a child. A child’s play has a purpose and is a step toward the learning and understanding of valuable skills. It can help the child fit into the world physically, intellectually, emotionally and socially and grow to be a healthy, competent unique individual. 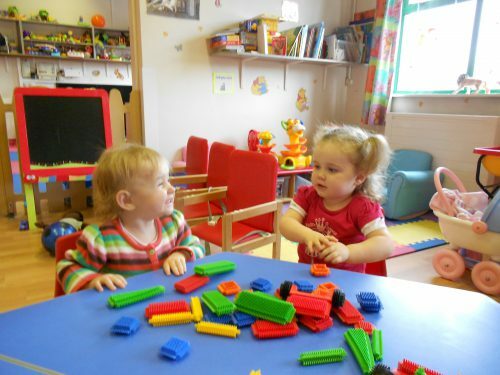 To develop children’s play opportunities at Kinderkids we implement the Early Years Foundation Stage (EYFS) in all the daycare rooms. The EYFS Curriculum helps adults working with the children to understand and support each individual child’s development pathway and ensure an appropriate learning journey is planned out for each child. At Kinderkids each child is observed continually during their time with us and these observations are recorded in an individual tracker record. Kinderkids also believes that by sharing observations with parents/carers this strengthens the partnership between home and the childcare setting. We provide full and part time child care places for children from 0-11 years old at our 3 facilities based at Ashton Centre, McSweeney Centre and Cliftonville Road. We also provide after schools child care for children of primary school age. Kinderkids Daycare operates all year round closing only on bank & public holidays. We offer varied childcare packages which can be flexible and catered to the child, family or carers needs. In addition, Kinderkids operates a fulltime out of school provision during school closures and for the duration of the summer and offers school collection free of charge to families who require it. Kinderkids opens from 8am to 6pm Monday to Friday. Prices vary according to childcare package. We at Kinderkids provide a quality assured, rich and stimulating play environment for each child. We promote confidence, resilience and independence in children. We provide a flexible approach to childcare solutions for parents who are working, in education, training or in need of family support.